How far would you go to save a loved one from a destiny that’s been wrongly assigned to them? This historical fiction novel set in 1888 is a story of one woman’s determination to do everything she can to save her sister. Even if it means, jumping into frigid waters and almost drowning herself. It’s the only way she can get herself inside the asylum. But once inside, not only does she realizes that her plan is half-baked, and it's not going to be as easy finding her sister, and then breaking out. The place is run like a penitentiary. It also becomes clear to Charlotte that not all the women in there are as insane as they are made out to be. There are dark secrets as to why they are there, and with some, no intention of them getting back out into the world. The plot twists when Charlotte learns that the man she is destined to marry, actually owns the asylum. 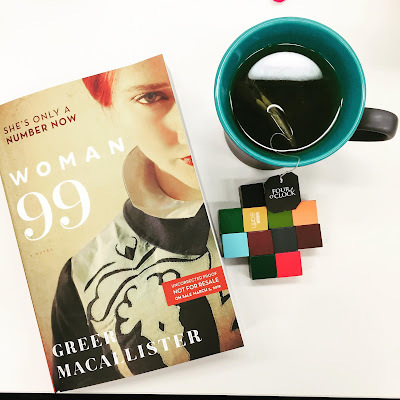 Stories about mental illness have a soft spot in my heart, and what makes Woman 99 even more intriguing is that it’s set in a time in history when women's lives were primarily dictated by the men around them. Those were times when there was a class and power imbalance, and getting married for love was an afterthought. It was about maintaining class status, and marrying into the right families. But the bigger conversation that can be gleaned from Woman 99 is one that translates easily into the current era, is whether we all have a right to live our life the way we want to live. The answer may seem obvious. But the reality more complicated. An ode to woman power, Woman 99 makes this journey even more poignant, because it takes place in a time that’s particularly difficult for women to voice their opinions and make a change. But today, we are given a platform. To voice our opinions. To demand the right to live with dignity. Woman 99 is a thrilling read, from the first page to the last. I hope it gets picked up as a Netflix movie or series. The characters are so well constructed and the setting ideal. In a way, it kind of reminded me of Orange is the New Black. It's a perfect balance of jolting you our of your seat with frightful revelation, to touching your heart with the compassion of someone who would go to great lengths to ensure your well-being. The characters and scenes are slated to haunt you in your dreams. Blog Post by Shilpa Raikar, who believes in the power of storytelling to connect readers, and strives for diversity and inclusivity. Woman 99 is published by HarperCollins Publishers. Copy provided by HarperCollins Canada.